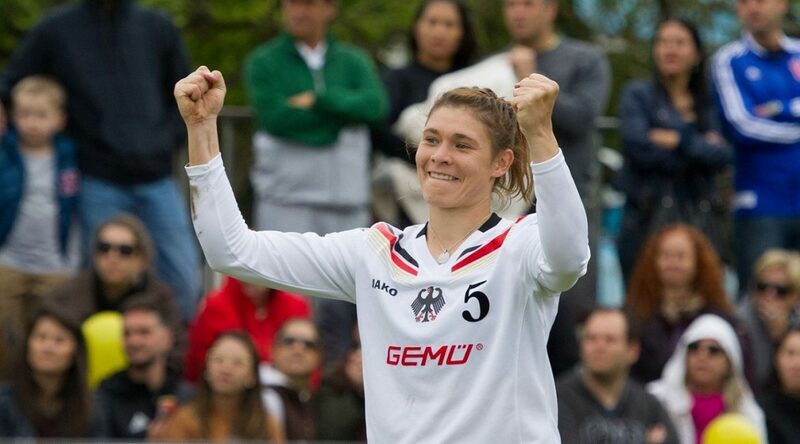 On Friday, 27 April and Saturday, 28 April 2018 the inaugural edition of the IFA Fistball World Tour Finals will be carried out in Vaihingen/Enz, Germany. The IFA Fistball World Tour Finals replace and restructure the former IFA Fistball World Cup played this weekend in Curitiba (Brazil). The last edition of an IFA 2017 Fistball World Cup was won by Duque de Caxias (women´s competition) and Sogipa Proto Alegre (men´s competition). Following the recent IFA Board of Directors’ meeting, the second to last IFA 2017 Fistball World Tour event in Australia and the successful IFA 2017 World Cup in Curitiba (BRA) played this weekend, the International Fistball Association (IFA) is pleased to announce that the inaugural IFA Fistball World Tour Finals will be played in Vaihingen/Enz dated Friday, 27 April and Saturday, 28 April 2018. “I am thrilled with the inaugural edition of the IFA Fistball World Tour Finals hosted by TV Vaihingen/Enz in Germany. We will see the best eight men’s and women’s teams qualified as Continental Champions or through the World Tour as a worldwide series of fistball tournaments in various categories. Each of the participating 100 teams had the chance to qualify for this event. It is obvious that our sport keeps growing, evolving and exploring new territories. I am definitely sure we will deliver an excellent season highlight“, said Winfried Kronsteiner, chair of the International Fistball Association’s (IFA) Sports Commission and initiator of the World Tour. All teams qualified for the IFA 2018 Fistball World Tour Finals not reaching the bronze or gold medal match dated on Saturday will get the chanceto take part at the Vaihingen Spring Tournament which also 2018 will be an World Tour event and held on Saturday and Sunday. Teams playing in the Finals on Saturday will get a wild card for the tournament on Sunday. So all teams are able to collect points for next year’s World Tour ranking as well. Overall, more than 100 women’s and men’s teams from 13 nations and five continents participated in the IFA Fistball World Tour. In total, there will be 20 tournaments on five continents with one tournament still on the calender for this year.